There are several symptoms of diabetes in dogs, but the symptoms, although pronounced at times, may often not be readily recognized by dog owners. Diabetes mellitus is the most common disorder affecting the endocrine portion of the dog's pancreas which is composed by several small clusters of cells called islets of Langerhans. In these islets, four types of primary cell types have been found and these include: Alpha cells (A cells); which are responsible for secreting the hormone glucagon, beta cells (B cells); which are the most abundant and are responsible for producing insulin, delta cells; which are responsible for secreting the hormone somatostatin, and finally, F cells; which secrete pancreatic polypeptide. Any dysfunction of these cells may lead to either scarce or excessive circulation of the respective hormones produced. In a dog affected by diabetes mellitus, there is a deficiency in the production of insulin from the beta cells. The underlying causes for the onset of diabetes can be various. In dogs, there is belief that diabetes may be be triggered by an immune-mediated disease where the immune system in this cases destroys the beta cells. 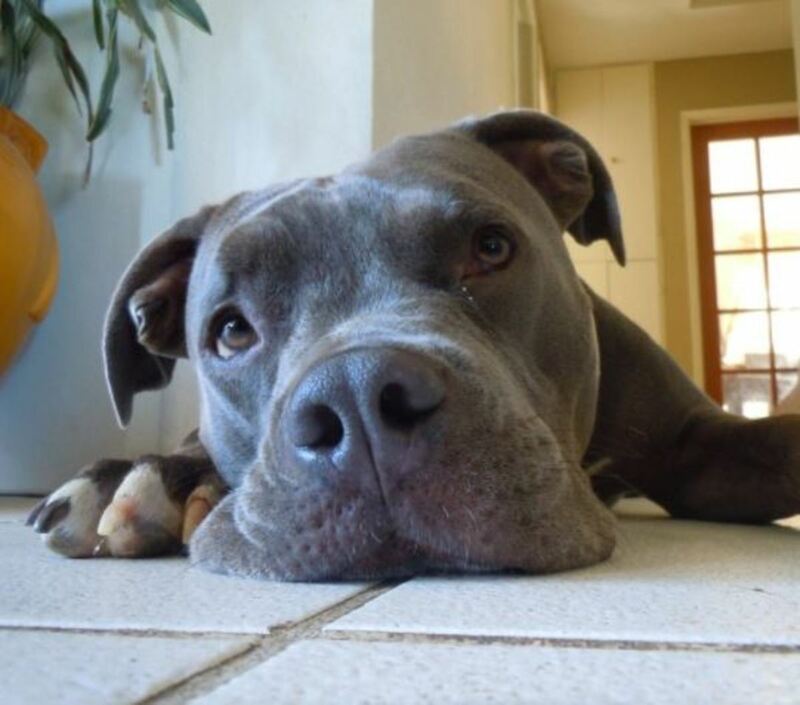 Although any dog can be affected, some dogs are more predisposed to diabetes than others. A genetic predisposition for this disease is seen in schnauzers, poodles, cairn terriers, miniature pinschers, dachshunds and beagles. In keeshonds, a familial genetic predisposition has been found by analyzing pedigrees. Female dogs are found to be three times more likely to develop diabetes compared to males. The age of onset is usually between the middle ages of 6 and 9. Obesity seems to also play a role in the onset of diabetes. Predisposing conditions include underlying autoimmune mechanisms often in conjunction with triggering factors such as exposure to viral infections, toxic chemicals, chronic stress, chronic conditions such as chronic pancreatitis (potentially due to eventual destruction of islets) and administration of diabetes-inducing drugs (such as steroids) in predisposed dogs. The signs of diabetes in dogs are several and it's important recognizing them early for proper diagnosis and treatment. They may appear subtle at first and become more prominent as the condition advances. 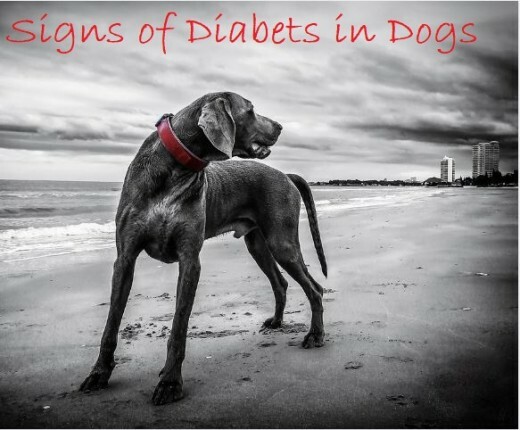 It is not unusual for dog owners to recognize the signs of diabetes in dogs only once they are dealing with the complications. Dogs for the most part are type 1 diabetics. Their pancreas stops producing insulin. Once provided with insulin, they generally do well.Type 2 diabetes is quite rare in dogs. Why Does Diabetes Cause Increased Urination in Dogs? When a dog develops diabetes, the beta cells fail to produce sufficient insulin. Insulin is what helps keep the dog's blood sugar (glucose) at a stable level. In a diabetic dog, with little or no insulin in circulation, excess sugar quickly builds up. This higher than normal sugar concentration causes a dog's kidneys to work extra hard in an attempt to filter and absorb the excess sugar. At some point though, the kidneys can no longer keep up and the sugar will end up no longer being absorbed and will need to be excreted in the urine, dragging along extra fluids from tissues. Excess and more frequent urination is the body's attempt to flush out the excess sugar. The medical term for increased urination is polyuria. Dog owners will often notice that the dog is asking more often to be let out. In some cases, a perfectly house-trained dog may no longer be able to hold it leading to accidents around the house. It's important that any history of accidents in a house-trained dog should not be immediately mistaken for a behavior issue. 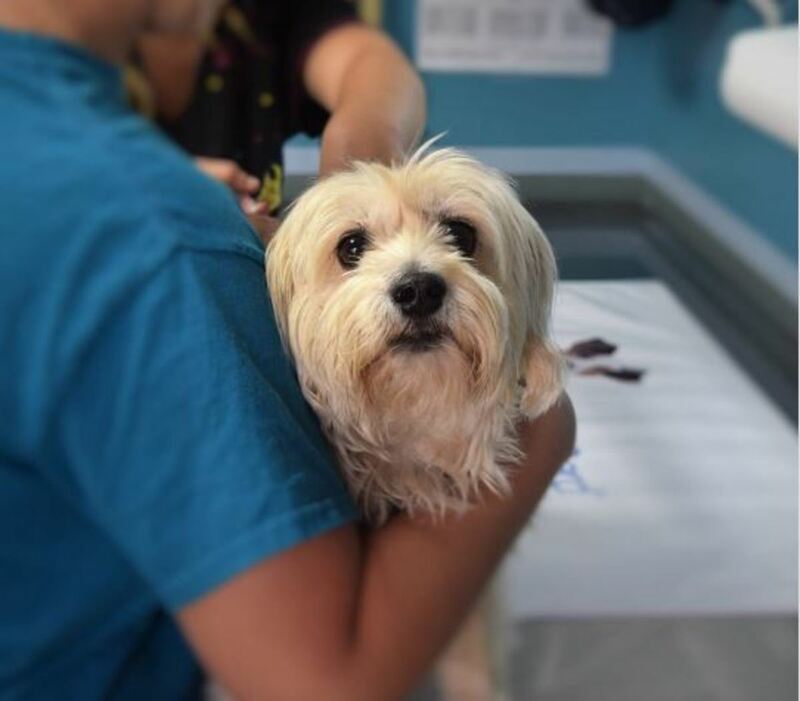 A vet visit is always in order to rule out conditions that may cause increased urination in dogs such as diabetes of course, but also kidney disease, liver disease, infections and some types of cancer. All that glucose in the urine pulls a lot of water out into the urine with it, and suddenly the animal is urinating large quantities. Are you filling that water bowl more than usual? Why Does Diabetes Cause Increased Drinking in Dogs? Increased drinking in one of the most common signs of diabetes in dogs. The medical term for this is polydipsia. 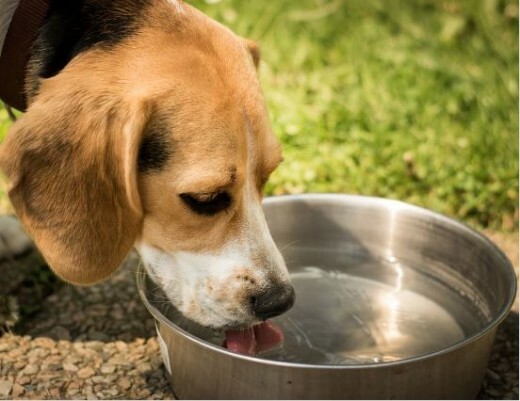 The increase in thirst, often seen in diabetic dogs, occurs as a result of the increased urination. Basically, since the body is attempting to flush out as much sugar from the body as possible (bringing along extra fluids from tissues), the dog may end up feeling extra dehydrated which will trigger more frequent drinking. This leads to a chain of events, drinking more to cope with the dehydration and then urinating more to get rid of the excess fluid intake. This explains why polyuria and polydipsia go hand-in-hand. Affected dog owners will notice filling up the water bowl more often than usual. The dog may drink often and in increased amounts when it comes to volume. How Much Does a Normal Dog Drink? 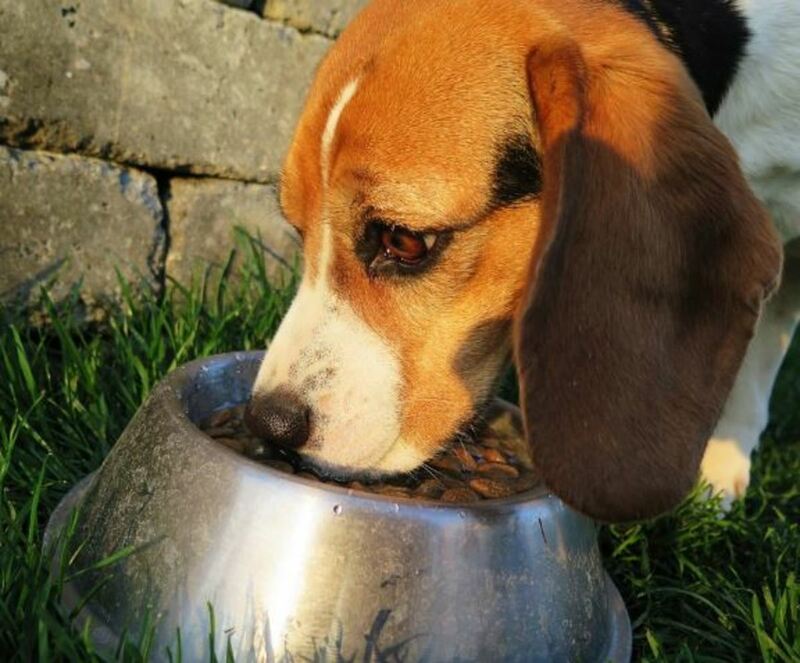 A normal dog will generally drink 1 to 2 ounces of water per pound of body weight in 24 hours. A 75 pound dog will drink about 75 to 150 ounces in a 24 hour day (10 to 20 eight ounce cups). Dogs fed dry food may be on the higher range, while dogs on canned on the lower. To measure how much a dog drinks per day you would have to put out a measured amount of water and then subtract the remaining amounts at the end of a 24 hour period, explains veterinarian Dr. Kara. Is your dog asking for more food? Why Does Diabetes Cause Increased Hunger in Dogs? The medical term for increased hunger is polyphagia. An increase in appetite is one of main signs of diabetes in dogs. In a dog with uncontrolled diabetes, blood glucose levels tend to stay at abnormally high levels since there is a shortage of insulin in regulating sugar. Here's a closer insight into what happens when a dog eats. 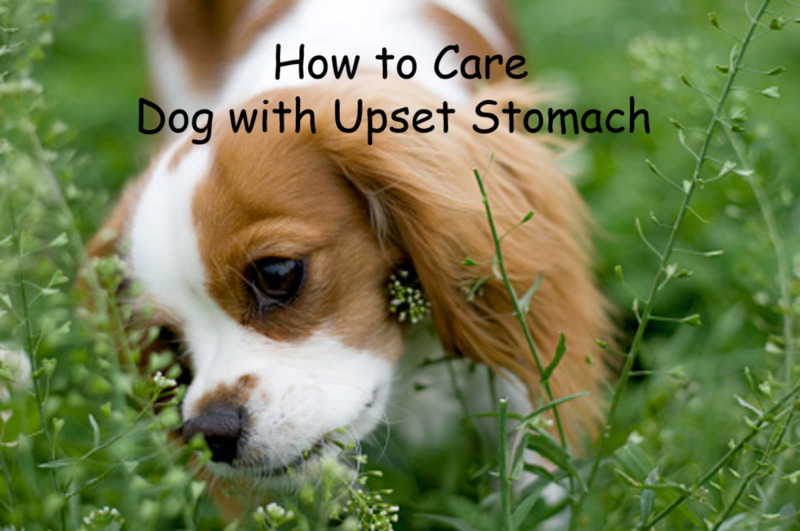 When a dog eats, the intestines absorb the calories (units of energy) into the bloodstream under the form of glucose. 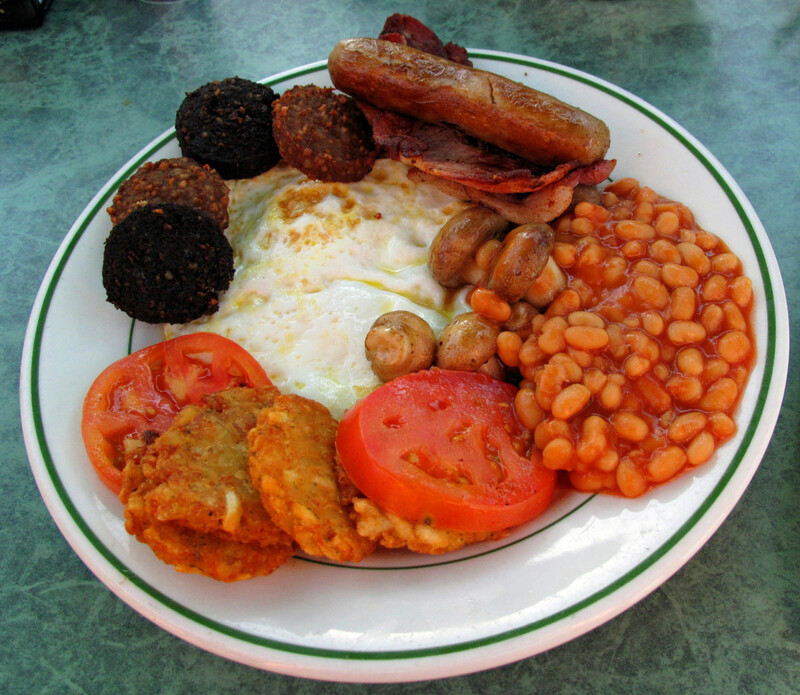 This means that, after a meal, there is a lot of glucose in the bloodstream. Now, it is thanks to insulin that the glucose gets out of the bloodstream and into the dog's muscles and cells. 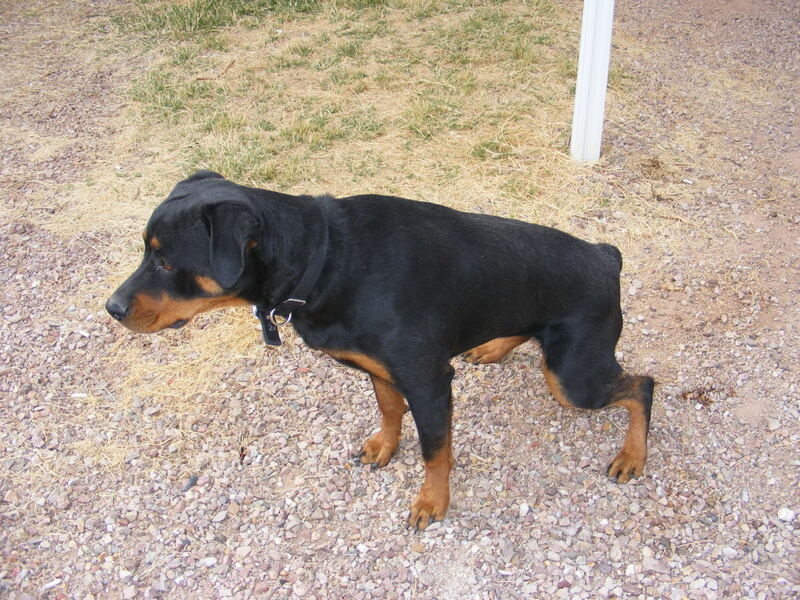 However, in a diabetic dog, glucose has difficulty entering the cells due to a lack of insulin. Insulin is necessary to get the glucose from the blood into the cells and cells need glucose! Therefore, the dog's body has a hard time converting food into energy. This causes diabetic dogs to often have an increase in hunger, but further eating or eating more regularly than normal doesn't typically satiate affected dogs. "They have ravenous appetites because their cells are starving as none of the glucose can get into them. So, they eat a lot and urinate a lot." Does your dog look more skinny? Why Does Diabetes Cause Weight Loss in Dogs? It may seem odd, but dogs who have diabetes and have increased hunger may actually become quite skinny as a result of the disease. Where do all those calories go? Remember how it was explained above how dogs with diabetes have insufficient insulin levels which causes excess glucose in the bloodstream? And remember how just above it was explained how glucose has a hard time entering the cells which leads to the dog's body having hard time converting food into energy? Well, when this takes place, the dog's body starts burning fat and muscle for energy and this triggers an increased metabolism which ultimately leads to a reduction in body weight. Does your dog look more tired? 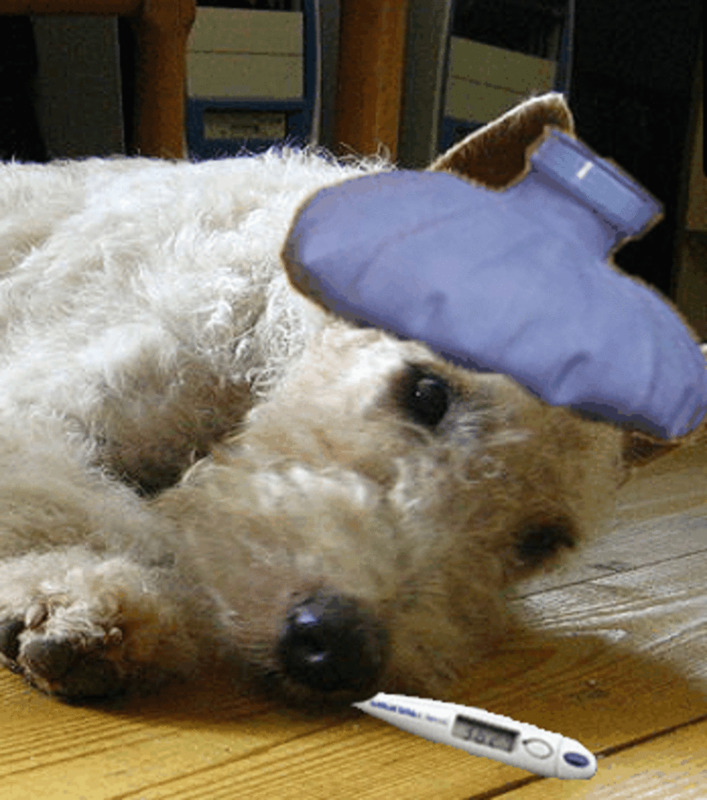 Why Does Diabete in Dogs Cause Fatigue? 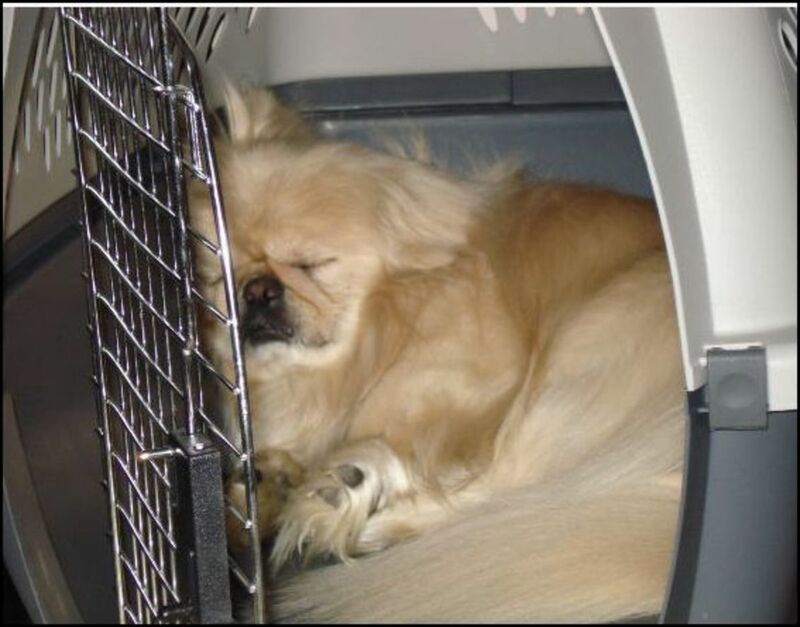 There are several mechanisms taking place in dogs with diabetes which may cause fatigue, lethargy and weakness. With the dog's body robbed from energy due to the increased metabolism and the body starting to burn fat in an attempt to provide calories, it's not surprising that dogs with diabetes will feel weakened and fatigued. This weakness may not be readily recognized and can be attributed to the dog slowing down as he ages. 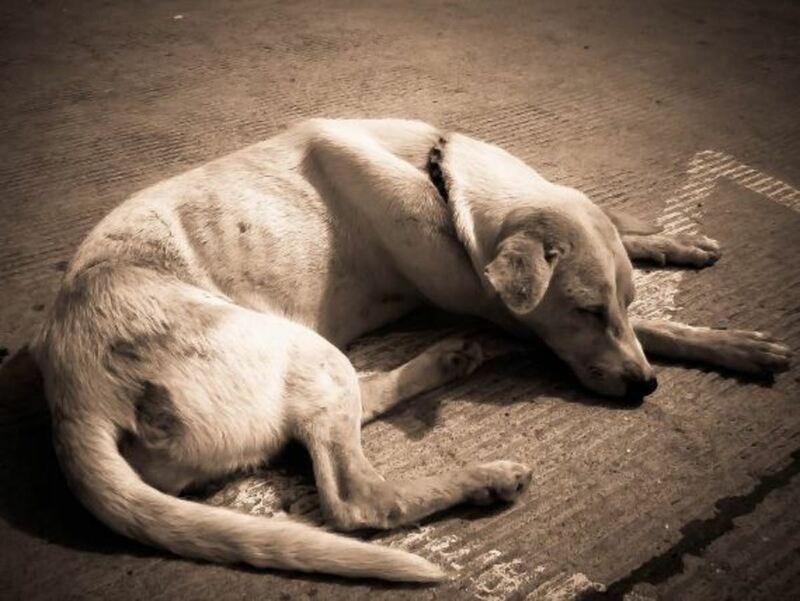 Dogs may develop fatigue as well from the fact that their body is in a state of "inflammation." Blood vessels get inflamed by the presence of glucose in the blood. On top of this, diabetes causes the blood to become “sludgy,” which translates into slower circulation and therefore cells not getting enough oxygen and nutrients they need. The sensation may be similar to the groggy sensation diabetics sometimes report feeling now and then. Why Does Diabetes Cause Dogs to Develop Cataracts? Diabetic dogs are at high risk for developing cataracts in their eyes. 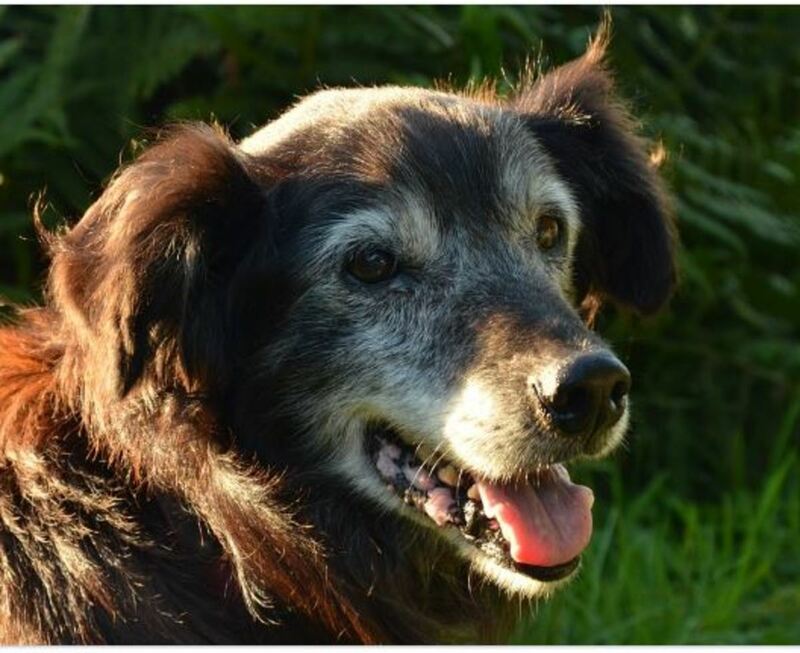 This diabetic complication can come on early in the disease process, but is mostly seen in dogs whose diabetes is not well regulated; however, there may be cases of dogs who were considered well regulated and went on to develop cataracts regardless. Cataracts are a sign that the naturally clear lens have become cloudy and opaque. Cataracts should not be confused with the normal cloudiness seen in old dogs with nuclear sclerosis, also known as lenticular sclerosis. In dogs with cataracts, vision is impaired as light doesn't pass through the lens. Why does diabetes cause cataracts in dogs? It's once again caused by the high levels of glucose. In a healthy dog, aqueous humor provides the lens with nutrients such as oxygen and glucose. However, when the levels of glucose are too high, as it happens with unregulated diabetes, the increased sugar levels in the aqueous humor cause the lens to swell, become less clear and more opaque. 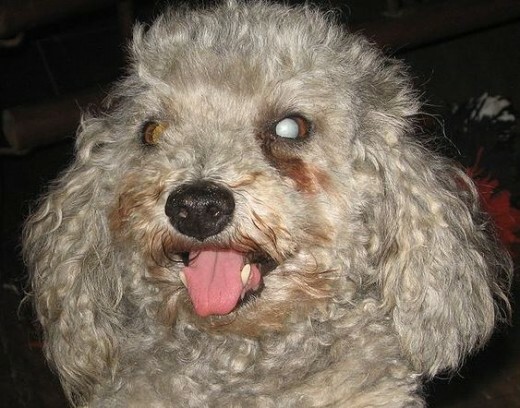 This ends up affecting the dog's vision due to cataract formation. The formation of cataracts can be prevent by keeping a dog's blood sugar under control. This can be done through insulin injections, medication and diet. It's also important to have diabetic dogs routinely see a board-certified ophthalmologist so to detect changes in the eye even before symptoms appear. Why Does Diabetes Cause Ketoacidosis in Dogs? In a case where the diabetes is really poorly controlled, a dog may develop a complication that is known as diabetic ketoacidosis. Here's what happens when dogs develop this potentially life-threatening condition: As the high glucose levels remain unregulated, the body starts burning fat in an attempt to provide calories. Once the fat burning though reaches a certain point, the dog's body will start producing ketones as an emergency fuel source. Ketones are chemicals made in the liver when there isn't enough insulin in the body to turn sugar (or glucose) into energy. Ketones can be detected on a simple urine test. When ketones are broken down, they produce a by-product that causes the pH of the blood to drop, resulting in a condition known as ketoacidosis which may progress to a life threaning state known as Diabetic Ketoacidotic Crisis. Signs of potential ketoacidosis include increased drinking and increased urination, lethargy, vomiting, loss of appetite, dehydration, weight loss, muscle wasting and a dull coat. This is a serious condition that requires hospitalization. Affected dogs need intravenous fluid therapy, short-acting insulin and, possibly, potassium supplementation. Luckily, ketoacidosis in dogs can be prevented by careful home-monitoring of blood glucose levels and proper insulin dosing. If you suspect your dog has developed diabetes, see your vet. Your vet will take your dog's history, ask you several questions about the symptoms you are seeing and will conduct a physical exam on your dog. Your vet will also wish to test your dog's urine and take some blood samples. Because without insulin, glucose cannot enter the cells, the dog is left with a lot of glucose in the blood that ultimately can't go anywhere. Therefore, the glucose starts to spill into the urine which becomes detectable in a urine test. A urine test is also helpful in dogs with diabetes considering that urinary tract infections are common in diabetic dogs. A blood glucose curve, on the other hand, detects glucose in the blood and can help determine whether a dog may have diabetes, and in dogs with diabetes on insulin, it may provide a good insight on how well controlled the diabetes is. A fructosamine test may be another option. It this test, the vet will draw blood once, then send it to the lab, and the results can provide insights on how well-controlled the blood sugar level was for the month prior. On top of all the signs and complications of diabetes in dogs mentioned above, dogs may also develop other further complications when their diabetes is not well under control. Complications include the onset of bacterial infections, glaucoma and neuropathies.